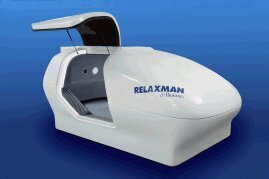 This is high time you let go your stress instantly melt away by just using this relaxation capsule. This capsule’s heated water mattress which is preprogrammed with light and music gives you the perfect relaxation that you’ve been looking for. Effective soundproof helps you to reduce anxiety, tension, and depression at the same time. Want to try?